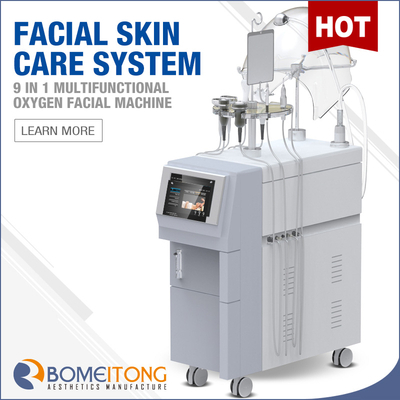 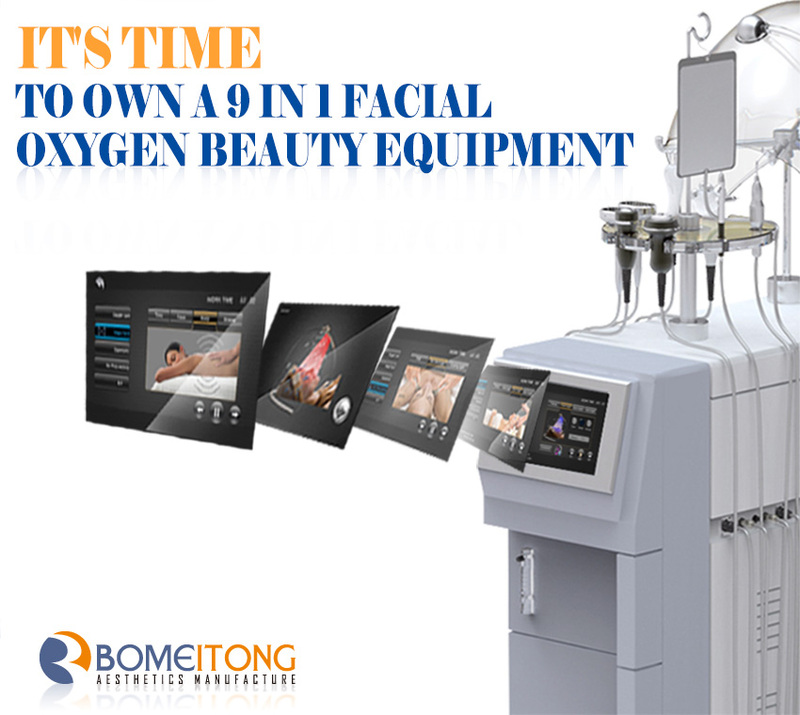 It's the latest technology 9 in 1 Multifunctional oxygen beauty machine. 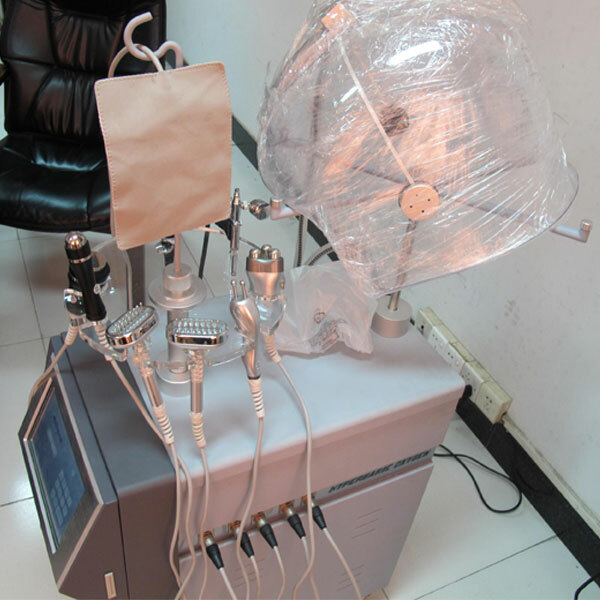 And it's very popular and usually be used at professional beauty salon. 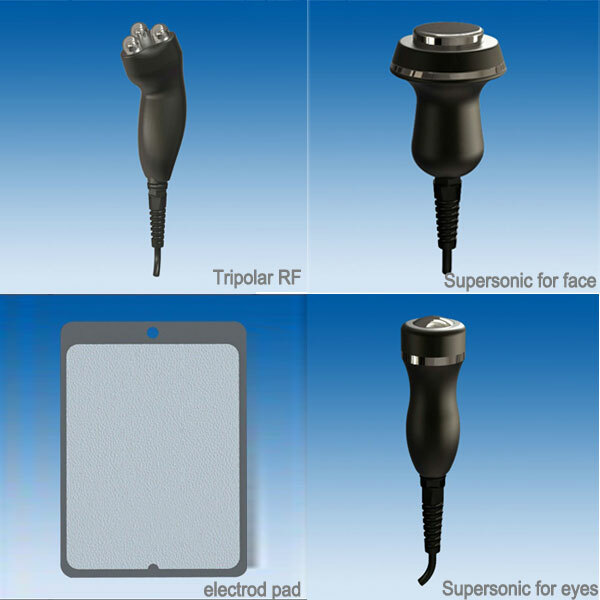 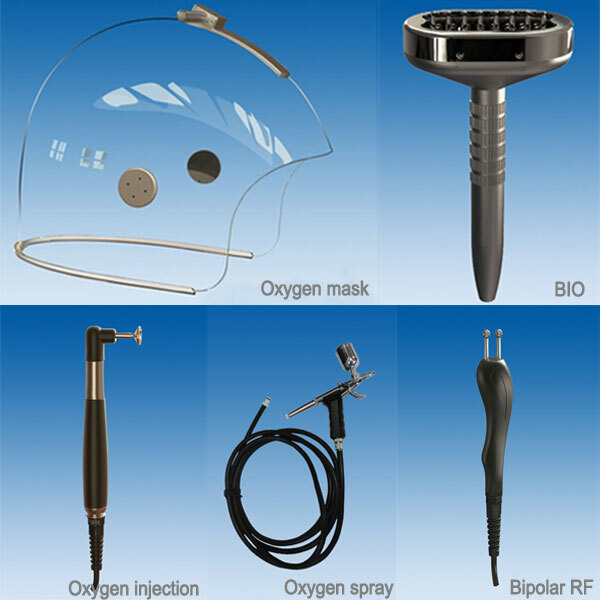 The design and the current is fully comply with European electrical safety standards, absolutely safe to human body, the built-in anti-electromagnetic interference devices, can effectively protect against electrical and magnetic interference, maintain the current stability, to ensure that procedures effective and stable. 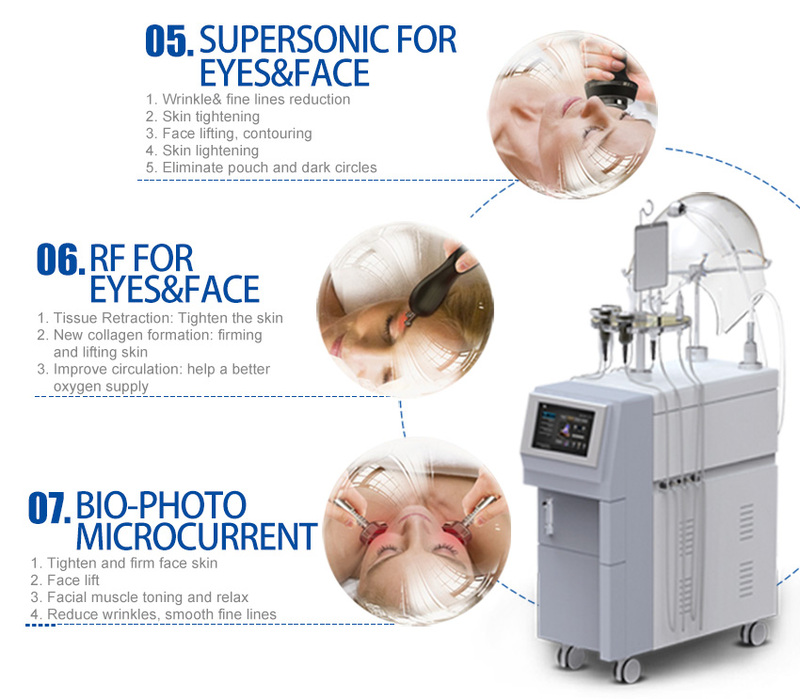 Improve circulation: RF will also improve the blood and lymphatic flow, this helps with a better oxygen supply and greater toxin clearance to further the effects of agin. 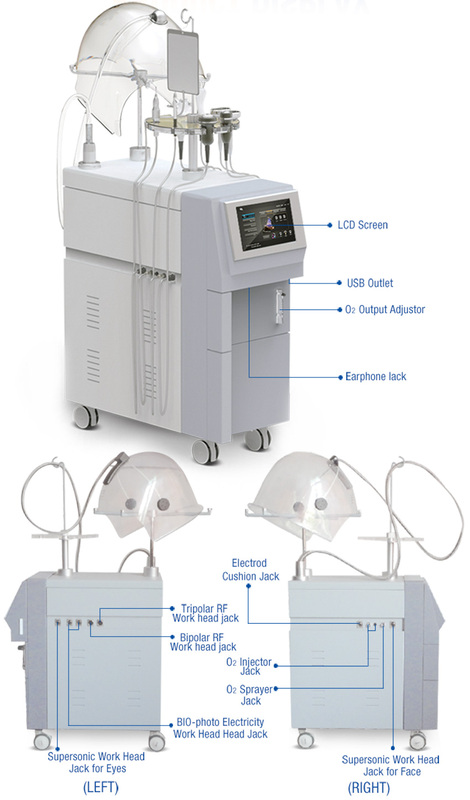 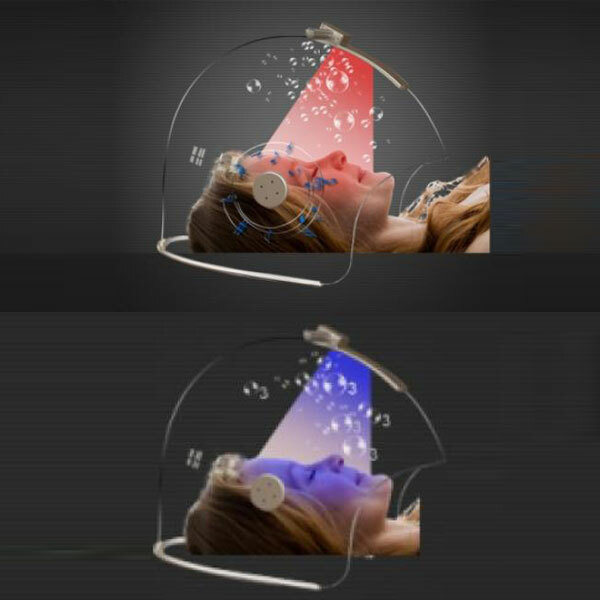 This probe utilizes photon energy to activate the skin cells, improving their production and infiltation, promoting the regeneration and restoration ability, contributing to a younger and rejuvenation face. 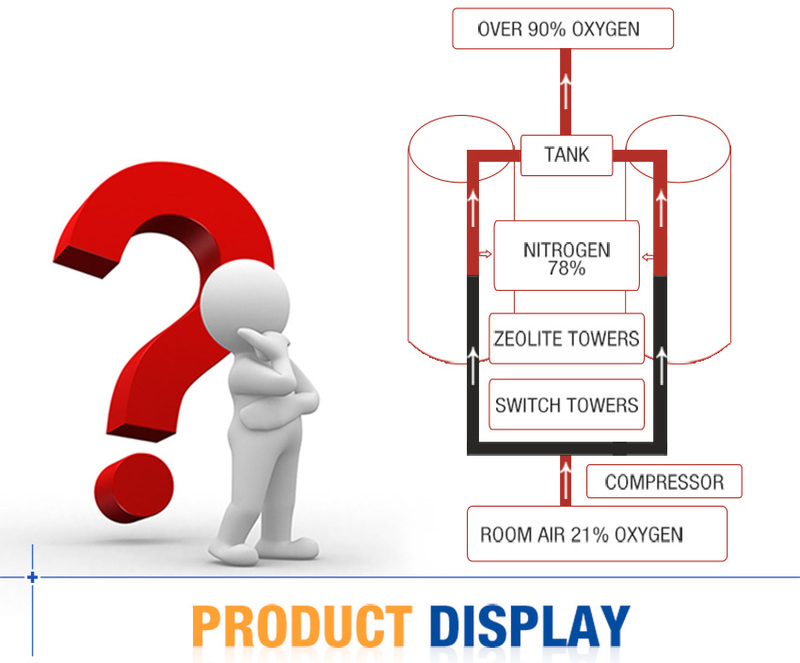 The G882A oxygen max system adopts the advanced PSA(pressure swing adsorption) technology to remove 78% nitrogen from air by its adsorption by a molecular sieve under normal temperature and leave oxygen available for use. The oxygen contraction reaches to over 90%. 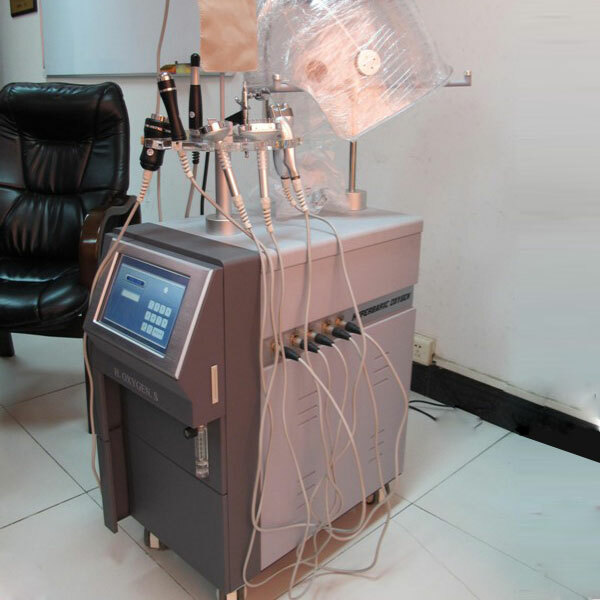 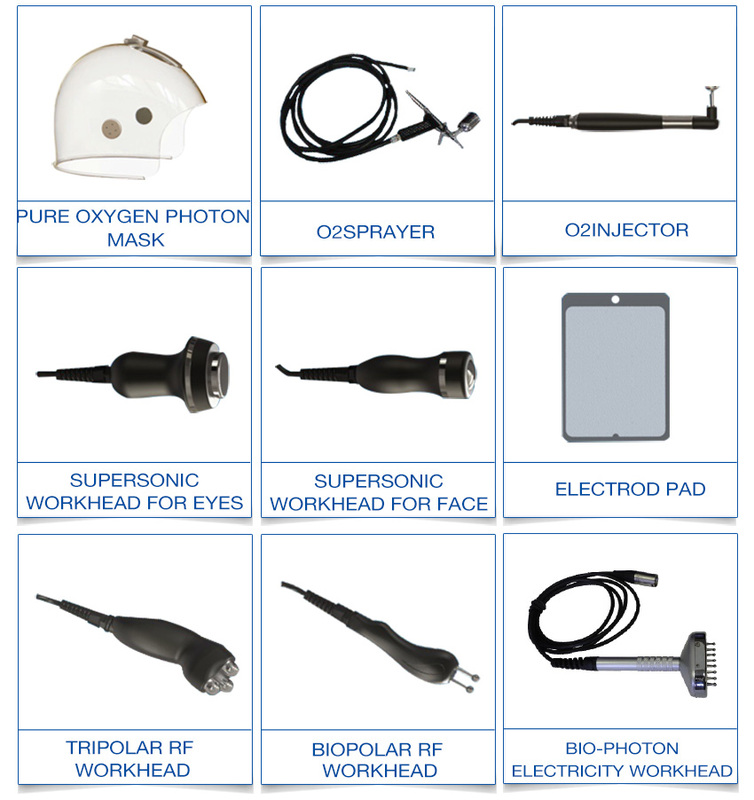 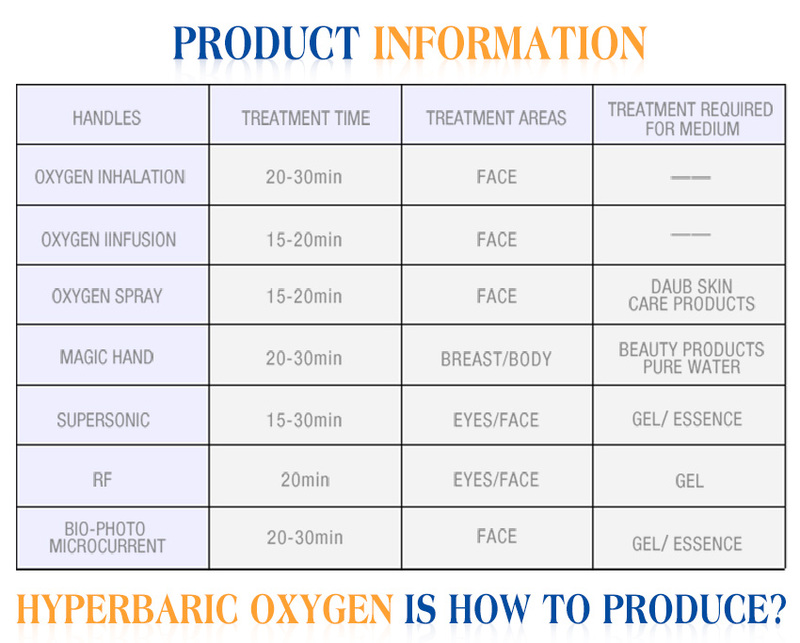 This pure oxygen will be applied to oxygen spray, oxygen infusion, oxygen breath treatment. 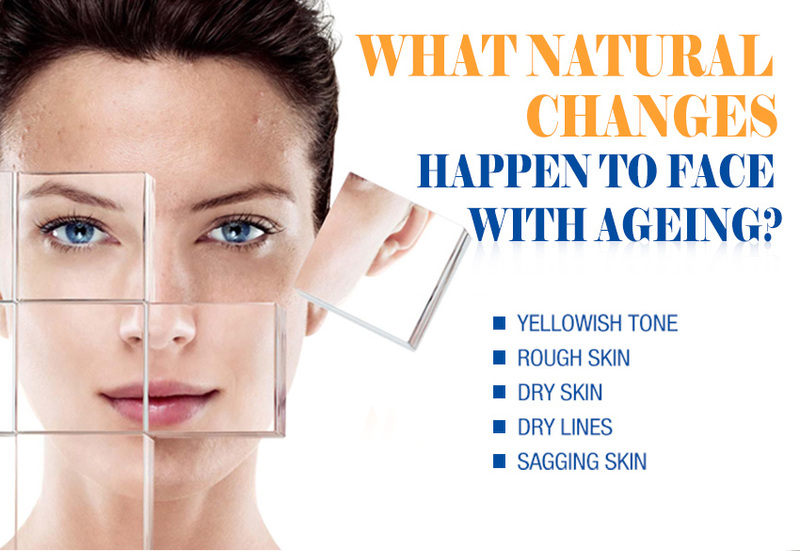 in moisture and tone the skin. 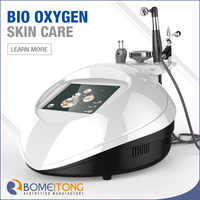 In just one 30-45 minute treatment, your skin will look younger, brighter, more radiant and uneven skin pigmentation improves. 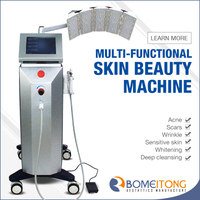 The appearance of fine lines and blemishes is visibly reduced, providing an instant firming and lift.